What is a zix file and how do I open a zix file? The ZIX file extension is a data file format associated to an archiving utility called WinZix compression. These are compressed file archive used to pack files together and serve as a unit, ideally for download. ZIX files and WinZix were created by Zix Corp. ZIX file format was first used by Quicken as an encryption code for sending sensitive financial documents. However, Quicken stopped using the file format because of virus problems. After which it evolved to be a significantly dangerous archive file since WinZix installs spyware, adware and viruses to computers and networks. 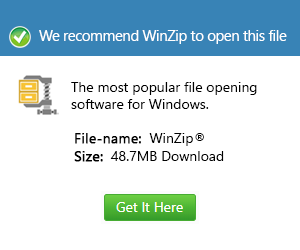 The ZIX files do not contain adware however    the WinZix application which open or create the files contain the viruses. The WinZix files can be accidentally downloaded from a Bittorent file sharing. They can cause severe damage to the computer and are hard to remove from the system. In case ZIX file has been downloaded, the user can use UnZixWin software to clear the files.